1 Week holiday to the announced destination. Previous destinations have been Sydney, Bali, Fiji and Las Vegas! Enter your email below and we will notify you when doors officially open for entry. I never quite felt like I had the strength or willpower inside me to steer my own life. My health, my fitness and my confidence always seemed at the mercy of the current situation, and I used it as a crutch and stood in my own way. When I stumbled across the JSA, what really struck me the most was honesty. For the first time, there was no false hope, no quick fix, just a dose of reality and the tools and support to achieve what had always been in my power. I signed up for the first challenge, thinking it would be a good way to stay accountable. Although I had some rocky patches, the tools I learned gave me the flexibility to ride the tricky times out, and as I started to take charge of my own fitness, my life followed suit. The “ifs” and “when’s” became “now” and “I am”. I started to put my focus on balance, and what used to take up 100% of my thoughts and worries became a sustainable 20% of my daily life. To my amazement, I won the first challenge and was given a trip to Sydney to meet the JSA crew and celebrate my journey. The whole time, the focus was never on how to strive for perfection or on the “what now”. It was really a chance to reflect on how I had gotten to that place and the opportunity to be mentored by people who were living “their best life” and blazing the trail to have balance, purpose, and the courage to step out of a comfort zone to peruse one’s passion. The trip itself was once in a lifetime— I was treated to so many experiences I would have never gotten to otherwise, and I felt so valued by both the JSA team and the larger JSA community. When I met James at the airport, I was welcomed like an old friend, and felt genuinely cared for. I can never thank the team enough for all of the incredible dining, wining, and opportunities to see Sydney from every angle: car,train,boat and even private seaplane, to name a few! I never knew that by signing up for a fitness challenge, my life could be so impacted. When I got home, life resumed. My health continues to test my limits and there are times I question my abilities; but, the tools and experience I have keep me going, and I wake up every day feeling like I can live my best life, here, today, and now. And, in those moments I have doubt, I have a whole JSA army behind me to lift me up! I will forever have a special place in my heart for Sydney and all that experience taught me, and of course, I will bleed JSA for life. Due to a serious and complicated medical history living my best life was something that other people got to experience, I could only watch from the side-lines wishing that my life could be different. Years of multiple illnesses and many set backs eventually left me on life support for three months with my family being prepared for the worst, I’ve always been a fighter though and surprisingly pulled through although unfortunately have been left paralysed down my right leg and foot. After intense rehabilitation I was discharged, with no further treatment offered, I was left to go and live what life I could with the help of carers 24/7, can you imagine being told that life as you knew it was over and that for ever more you will be dependent on someone for the most basic of tasks? I couldn’t even walk unaided- I was devastated- but determined to find a new version of MY normal. I tried for over two years to regain strength especially in the wasted muscles of my leg, I was bounced from one supposed specialist, nutritionist or dietician to another and not one person could help me. I had been going to the gym and spending up to three hours a day on the recumbent bike believing this was the only thing I was capable of due to my circumstances. I was at the point of giving up when I decided to take the chance and emailed James, giving him my full story but not really expecting a reply, imagine my shock when I received an email from him? He was honest enough to say that he didn’t know if his academy could help but why not give it a go? I will admit to being initially disappointed in this, I think I was expecting someone to wave a magic wand and I’d be fixed, but on reflection I realised that I had absolutely nothing to lose! I had tried everything else to no avail so why not? Joining the JSA turned out to be the best decision of my life. For the first time I was dealt with honesty and facts rather than the false hope and pretences of the previous ‘experts.’ It was a breath of fresh air to be dealing with people who genuinely wanted you to succeed and not just to line their pockets. The academy gives you all the tools needed to succeed, it doesn’t sugar coat it, it states quite simply that there is no quick fix and that its all down to your own hard work and efforts. I loved the fact that they make it a life change and that it’s so easily sustainable. I decided to join in the Las Vegas challenge purely to give myself a time frame to work towards, believing that if I didn’t get stronger in the 12 weeks I was never going to, I didn’t believe for a minute that I stood a chance of winning against the incredible transformations that I had seen taking place. 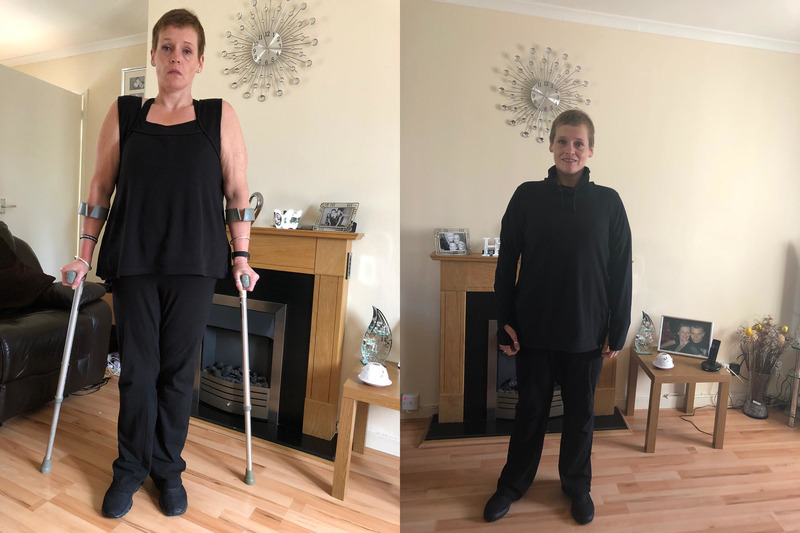 It took some time to get the exercise plan right and many, many messages passed between myself and Diren before we got a plan that just ‘worked’ and for the first time in my life I was lifting weights and achieving the seemingly impossible. It must be said that the support I received from the other academy members was out of this world. We are all walking the same path, yet we all want each other to do so well, I would not have pushed myself so hard had it not been for their support and belief in me. To my utter disbelief by the end of the challenge I had worked my way from walking with two crutches and support to managing to walk six steps fully unaided! 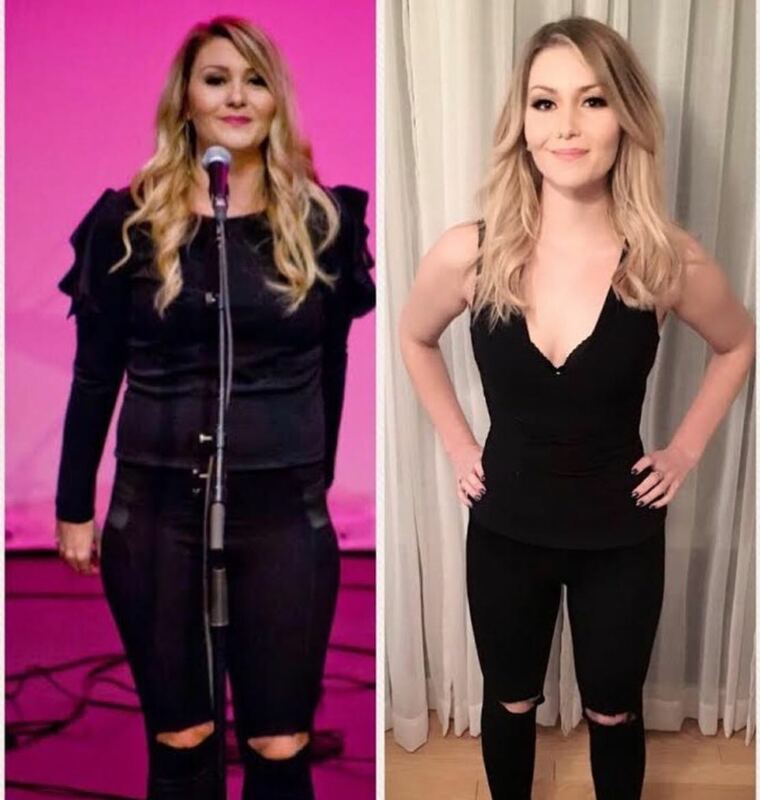 Along the way I had also lost 16lbs and 46 inches from all over my body! I was utterly gob smacked when I was announced the winner of the challenge! I have the utmost respect for the JSA because, whilst I can technically now walk, the actual trip to Las Vegas was just not feasible for me due to the sheer size of it so when James asked if I would prefer the cash equivalent instead I happily accepted and now plan to use the money to make some more of my goals come true, for instance swimming with dolphins and visiting Paris. Who knew that when I joined a fitness challenge that my life would change so dramatically for the better. Each and every single day I am achieving small things that only three months ago were impossible. My health will always be extremely precarious and there are times when I doubt myself but in those moments of doubt I look to the support of the JSA army to help me through. I now wake up every morning excited to see what else I can achieve! James and the JSA have literally changed my life, there is not enough ways in which I can thank them for giving me back my life.